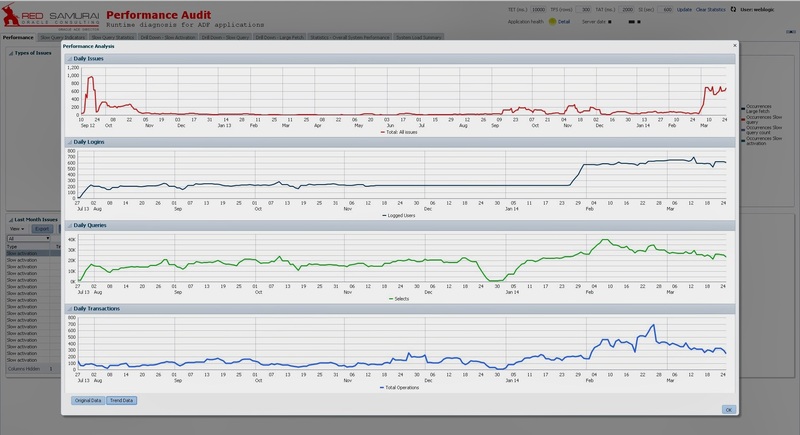 Our ADF Performance Audit tool is growing and getting smarter. 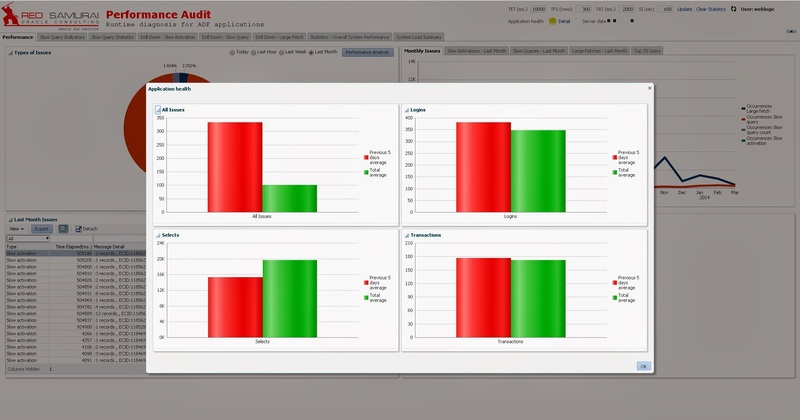 Current release v 3.0 is focusing on collected audit data reporting effectiveness. There were many features added since early release in 2012 - Red Samurai Performance Audit Tool - Runtime Diagnosis for ADF Applications. You can check features added in 2.8 release - Red Samurai Performance Audit Tool v 2.8 - Activation Focus. 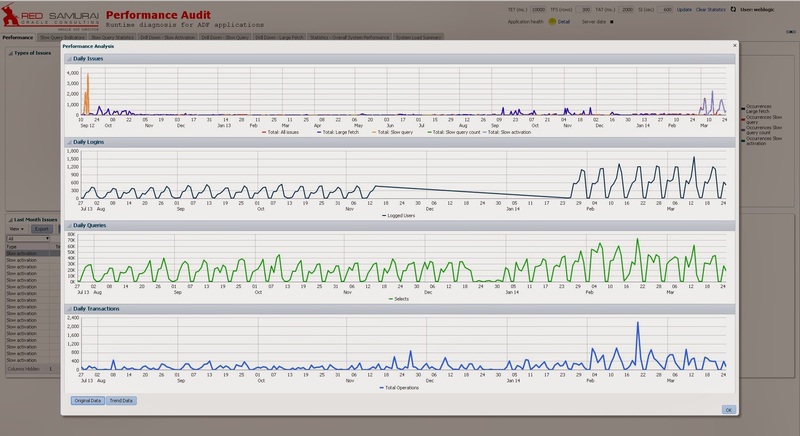 This helps to understand, if ADF performance issue are result of higher load on the system or ADF BC is not tuned. any chance you release older versions for free? This is already for free - even this version, but there is no download. You should only convince us - you really need this tool and describe in detail what performance issues you are facing. Preferably you should send an email offline. We are not publishing it online, but if someone really requires such tool - we could share, not a big deal. Otherwise we install it in our projects and explain customers how to use it to monitor performance and apply fixes.